As Sociologist W. Lloyd Warner wrote, in his 1959 monograph, The Living and the Dead, “cemeteries are collective representations which reflect and express many of the community’s basic beliefs and values.” Certainly one of the conclusions that can be drawn when looking at cemeteries as reflective of what Americans believe and do is that Americans are joiners. They join all sorts of organizations–churches, insurance groups, clubs, secret societies, sororities, fraternal organizations. 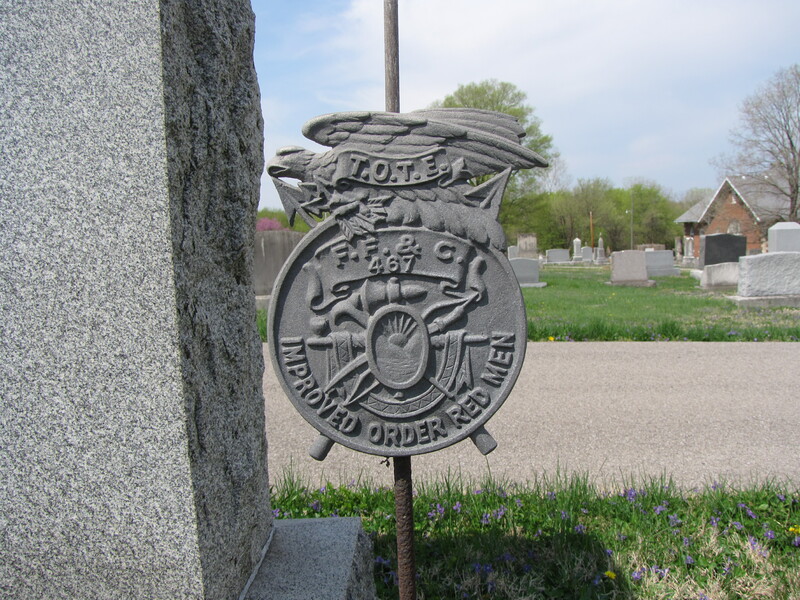 Look around cemeteries and you will see the organizations that are prevalent in your community or once were. 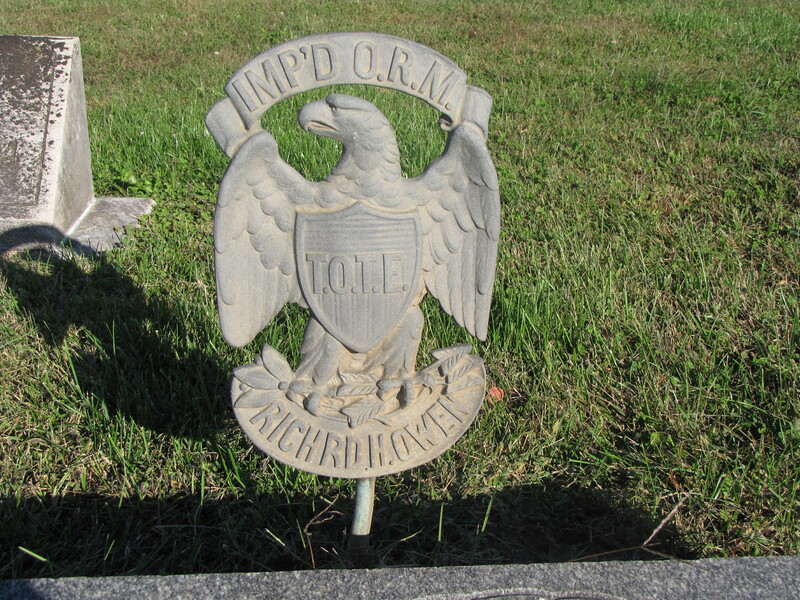 Look for markings on the gravestone themselves or look for markers next to the gravestone. 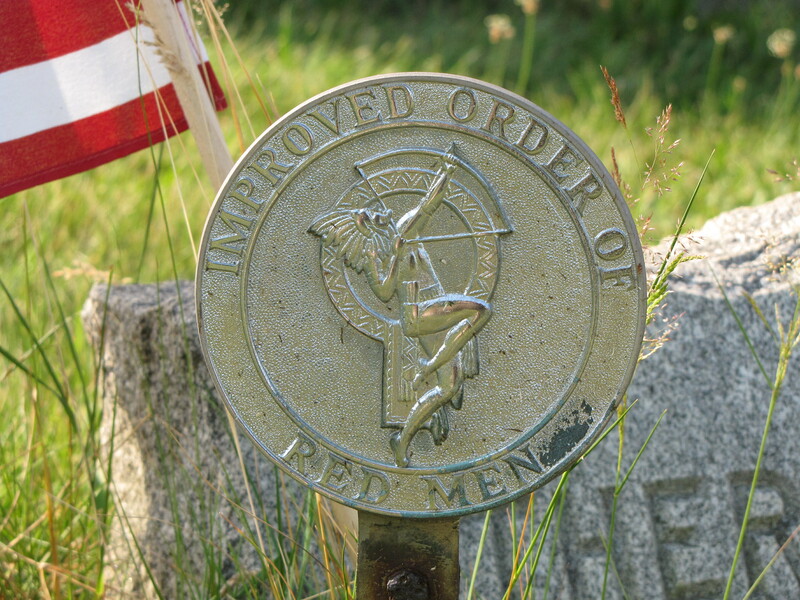 One of the metal markers which comes in several different forms found in many cemeteries is the marker for the Improved Order of Redmen, which claims its beginnings with the patriots who were in the Sons of Liberty during the American Revolution. The society models itself after the Iroquois Confederacy councils. 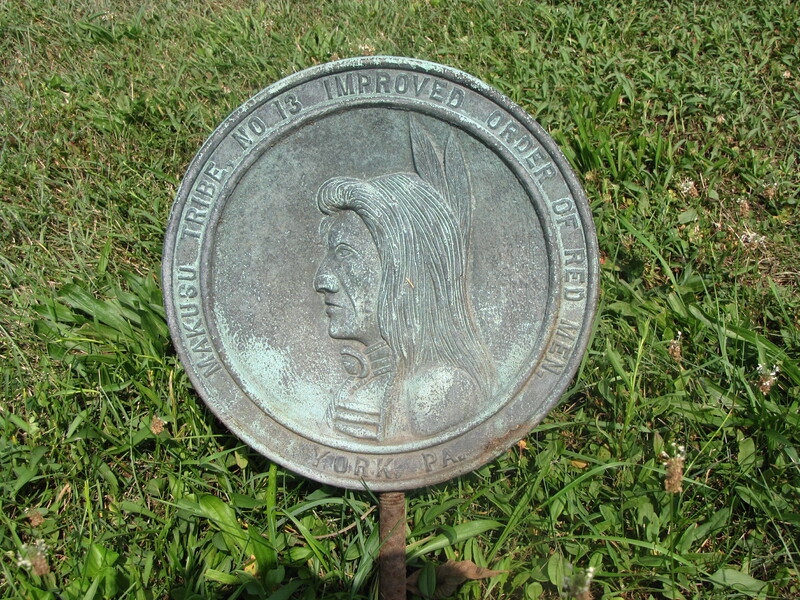 In fact, some of the metal markers display Native Americans because the society based their organization on the rites and rituals of the Native Americans. 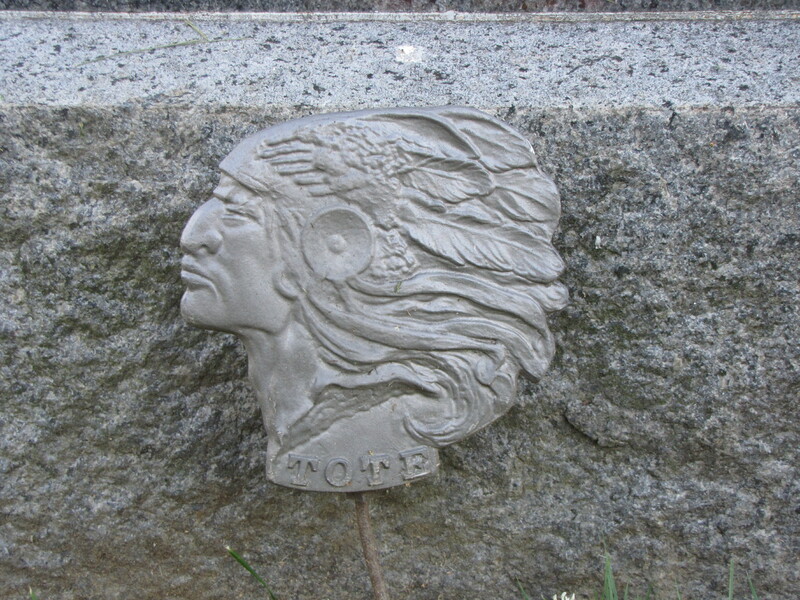 Other Improved Order of the Redmen metal markers display eagles and the initials T.O.T.E which stands for Totem of Eagles. According to their Website, the IORM “promotes patriotism and the American Way of Life, provides social activities for the members, and supports various charitable programs.” The different clubs or chapters are divided into “tribes”. The women’s auxiliary of the Order is the Degree of Pocahontas, named for the Native American Princess, Pocahontas, which was founded in New York in 1885. The auxiliary promotes the virtues of kindness, love, charity, and loyalty to one’s nation. 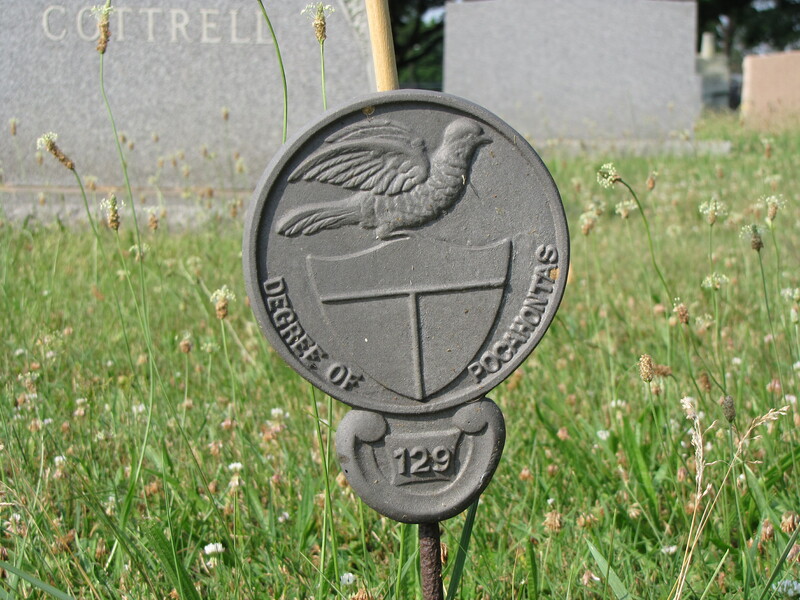 The cemetery marker has a circle with a shield inside the circle with a bird atop. The words “Degree of Pocahontas” appear within the circle. If you run into one that you can’t identify, the Indiana State Archives may have the information for you. Has anyone seen any other sociological articals about the sociological significance of cemeteries?